Beautiful open floor plan with 4 bedrooms in fabulous location of Viera/Rockledge highly desirable Villages of Solerno! Spacious great room and family room makes for flexible space. Breakfast bar and breakfast nook in large kitchen with maple cabinets, solid surface counter tops and walk in pantry. All appliances convey including washer and dryer. Large master with walk in closet, garden tub and separate shower. Slider to screened porch to watch the bird life on the Lake. Interior just painted and home is move in ready! Access to large community pool with lots of amenities...bike path, tennis and basket ball courts, play area. 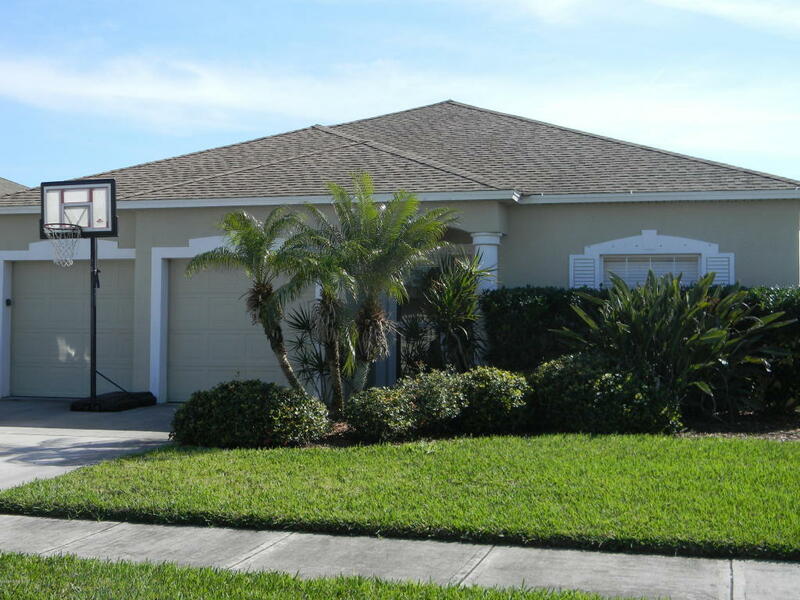 Enjoy the Florida Lifestyle in Brevard's most desirable area. Golf cart friendly community.